If you follow me on Facebook, you might have read most of the following reflections already. Earlier this month, the Online Film Critics Society began sending me a string of ballots for a vote we were taking in order to rank every Best Picture Academy Award-winner from best to worst. I haven't put much stock in the Oscars since I was a kid. But, like all lists, the list of Best Picture winners serves as a great introduction to amateur film buffs who might want a sampler of some of the best films ever. It turns out there were a slew of these I still hadn't seen. Maybe most of these viewings confirmed why I had skipped a lot of these in the first place. But a good number were also reminders that even film critics haven't seen all the great works of cinema. All Quiet on the Western Front (1930), directed by Lewis Milestone - A poignant summation of the horrors of war, this film is a legitimate classic. An influence on filmmakers from Kubrick to Spielberg, the movie's most unexpected reward comes in the casting of young Lew Ayres as the German soldier we follow in the trenches of World War I's battlefields. As an actor, Ayres looks green. But his wide-eyed energy goes a long way in communicating the vitality we risk losing every time we send a young person into war. Cavalcade (1933), dir. Frank Lloyd - A family saga starring Clive Brook and Diana Wynyard based on a Noel Coward play, Cavalcade follows a family as it deals with British historical milestones from the Boer War through the sinking of the Titanic and onward. A dull and self-righteous film, my feelings about it are best expressed by the sound of crickets. The Great Ziegfeld (1936), dir. Robert Z. Leonard - William Powell plays the inveterate showman Florenz Ziegfeld in a biopic spanning his professional life. Though rather fluffy at times, it features some glorious musical numbers from stage veterans like Ray Bolger and Fanny Brice (both playing themselves). Powell's future Thin Man partner Myrna Loy wisely avoids doing an impression of Ziegfeld's eventual widow, future Glinda the Good Witch, Billie Burke, and Luise Rainer (who won the first of two consecutive Oscars) plays Ziegfeld's first wife Anna Held. The Life of Emile Zola (1937), dir. William Dieterle - Episodic as far as biopics are concerned, the meat of the film is its extended coverage of France's Dreyfus affair and Zola's involvement with it. In this respect, the movie is a great military trial thriller anchored by a fine performance from the flamboyant Paul Muni. It's not just the application of makeup that makes you forget that the elderly Zola is played by Muni, then only 42 years old. You Can't Take it with You (1938), dir. Frank Capra - Simply amazing. Its quirky family anticipates those of films like Hotel New Hampshire. And why wouldn't it? When's the last time you saw Jimmy Stewart about to marry into a clan that includes Jean Arthur, Eddie "Rochester" Anderson, Lionel Barrymore, a teenage Ann Miller, and Dub Taylor (in his film debut)? 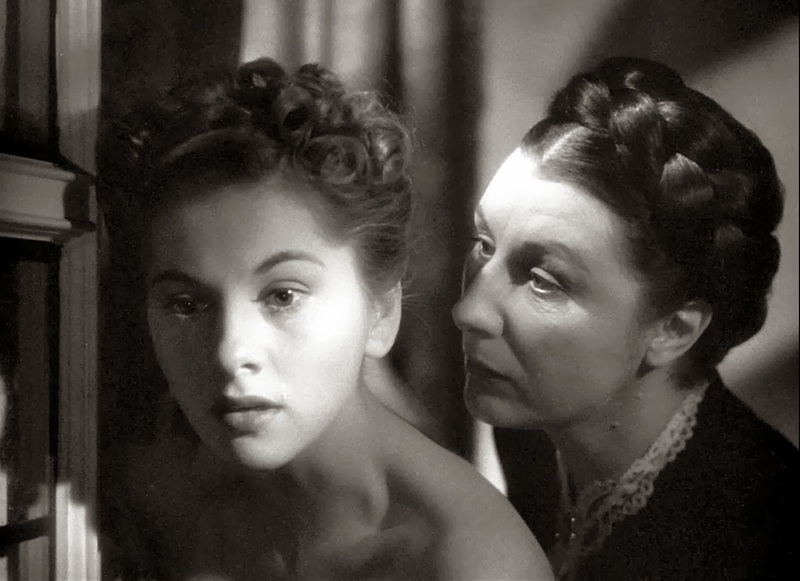 Rebecca (1940), dir. Alfred Hitchcock - Rebecca may be the film I most regret waiting this long to finally see. Fantastic performances by a fizzy George Sanders and creepy Judith Anderson make up for a surprisingly flat one by Laurence Olivier. But Joan Fontaine really shines in a role that literally matures before your very eyes. Daphne du Maurier's gothic elements are given a boost by Hitchcock's brilliant pacing. Just when the hagiographic elements of Rebecca de Winter's backstory begin to wear, a twist is introduced that throws everything into disarray. A superb romantic mystery. How Green Was My Valley (1941), dir. John Ford - It's a shame that this movie has always suffered from unfair comparisons to the film milestone Citizen Kane, which it beat for Best Picture. This gentle remembrance of youth in a Welsh mining town has the hallmarks of something extremely personal for its director, John Ford. The idyllic town is a triumph of art direction; you'd be hard pressed to find any evidence that it was shot in Malibu Canyon. Walter Pidgeon, Maureen O'Hara, Donald Crisp, and Anna Lee are particularly memorable in their roles, but Roddy McDowall's turn as Huw Morgan may be one of the greatest child performances ever. Mrs. Miniver (1942), dir. William Wyler - After long admiring so-called anti-auteur Wyler, I finally get to one of his most acclaimed films, a war-at-home movie some claim rallied the Allies to Britain's cause when things were looking bleak. Fine performances by Walter Pidgeon and Teresa Wright enhance cutesy subplots about a rose breeding contest and the well-bred village matriarch's refusal to mingle with its middle-class denizens. But strangely, it's Greer Garson's stiffly stereotypical turn as the title character that occasionally makes the movie feel stuffy. Going My Way (1944), dir. Leo McCarey - The things you learn in these little projects. Like I had no idea that 1945's The Bells of St. Mary's was a sequel to this movie. I just thought Bing Crosby played a lot of priests. He's pretty engaging here as hip, streetwise Father Chuck O'Malley who's called in to save a church under the faltering supervision of crotchety Father Fitzgibbon (Barry Fitzgerald). The two actors bounce well off each other. Otherwise, the movie drags whenever O'Malley has to deal with a cute bunch of hooligans (a 17-year-old Carl "Alfalfa" Switzer among them). Gentleman's Agreement (1947), dir. Elia Kazan - As the muckraking gentile journalist, Gregory Peck is strident to the point where it almost feels like he's shaming his Jewish buddy for not being more vocal about the daily injustices he faces. That he's played by John Garfield, whose real name was Julius Garfinkle, feels a bit hypocritical when his character is the one that delivers a furious, righteous speech to Dorothy McGuire denigrating her and those who play within the status quo instead of standing up to it. I'm not blaming Garfield, mind you. I'm just describing the extreme lengths this movie goes to in order to justify its crusader tendencies. All the King's Men (1949), dir. Robert Rossen - Speaking of muckrakers, John Ireland is excellent as the reporter who sells his soul to get the thunderous Broderick Crawford's power-hungry populist elected to higher office. Mercedes McCambridge is a consultant who gets burned by her own twisted creation. If the film feels a mite unimpressive now, it's only because we've seen a ton of other movies it inspired. 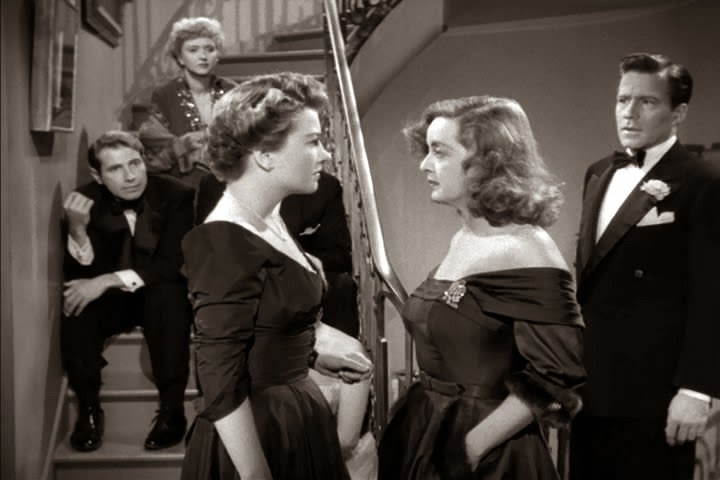 All About Eve (1950), dir. Joseph L. Mankiewicz - This dishy backstage drama is the second with George Sanders enlivening an already well crafted film. Here he plays a gossip columnist/part Greek chorus (joining the always peppy Celeste Holm) who nastily covers the gradual upstaging of Bette Davis by fan/protégée Anne Baxter. The very young Baxter, in a role as nastily backstabbing as her one in The Magnificent Ambersons was endearing and virtuous, proves to be more than formidable opposite the intimidating Davis. The Greatest Show on Earth (1952), dir. Cecil B. DeMille - It'd be accurate enough to call this one mediocre if it was simply a circus-set melodrama about a love triangle between Charlton Heston, Betty Hutton and the mostly shirtless Cornel Wilde. Or even if it just followed the always grease-painted Jimmy Stewart who's hiding in plain sight as Buttons the Clown because he's a fugitive of the law. That one has to sit through an hour of setup (explaining what a circus is, for Pete's sake) before the story even begins is unforgivable given how weak the eventual plot is. George Barnes' lush Technicolor cinematography and the gorgeous production design are marred by an excessive amount of inexplicable process shots, too. What, they couldn't get Jimmy Stewart or Chuck Heston to the set? Around the World in 80 Days (1952), dir. Michael Anderson - I'm sure this would have been something in its original 70mm wraparound Todd-AO release. But even on my 50-inch it plays like a retro-Cannonball Run where I hardly recognize the cameos because either the faces are so small on the screen or many of these "stars" are hardly that in this day. Better known luminaries include Cantinflas, Marlene Dietrich, John Gielgud, Trevor Howard, Shirley MacLaine, Robert Morley, David Niven, George Raft and Frank Sinatra. Tom Jones (1963), dir. Tony Richardson - A very clever, postmodern picaresque that feels nearly as fresh now as it must have when it was first released. Albert Finney, Hugh Griffith and Jack MacGowran are especially fine, as is Richardson's direction. I mean, breaking the fourth wall in a mainstream British costumer in 1963? My Fair Lady (1964), dir. George Cukor - This is a first-rate musical if a tad too long. As Eliza Doolittle, Audrey Hepburn is far better than I expected given the controversy of her casting. In fact, after hearing her sing parts of the songs here and there, I wish they wouldn't have dubbed her singing throughout most of the film. As Professor Higgins Rex Harrison is excellent as well. Unfortunately, his Higgins (and the film) is saddled with an outdated misogyny I don't remember from the original Shaw Pygmalion. What I believe is indisputable is the movie's lush cinematography. Oscar winning DP Harry Stradling is definitely the film's MVP. A Man for All Seasons (1966), dir. Fred Zinnemann - Though prone to showing its theatrical roots, this found a wonderfully cinematic director in Fred Zinnemann. Frequently opting to set key scenes in exterior settings, Zinnemann opens up Robert Bolt's play about the trial and execution of the pious Sir Thomas More (Paul Scofield). Sir Thomas refuses to get on board with the decision by a boisterous, entitled Henry VIII (Robert Shaw) to divorce Catherine and make Anne Boleyn (Vanessa Redgrave in a cameo) his queen. Filling out the cast with a number of top Brit actors old and new, Zinnemann still relies on the show's Broadway leads, Scofield and Leo McKern (brilliant as his interrogator, Thomas Cromwell), to hold our attention on what could be a very stagy drama. Also exceptional are a very young John Hurt as Richard Rich, Nigel Davenport, Wendy Hiller, Susannah York and Orson Welles as Cardinal Woolsey (fat, with eyes bloodshot, as if hardly sated by the drunkenness of his own corruption). In the Heat of the Night (1967), dir. Norman Jewison - It's a bit unnerving to think that this folksy take on racism in the South might have ever felt revolutionary. I assume this characterization of the film is more legend than fact. 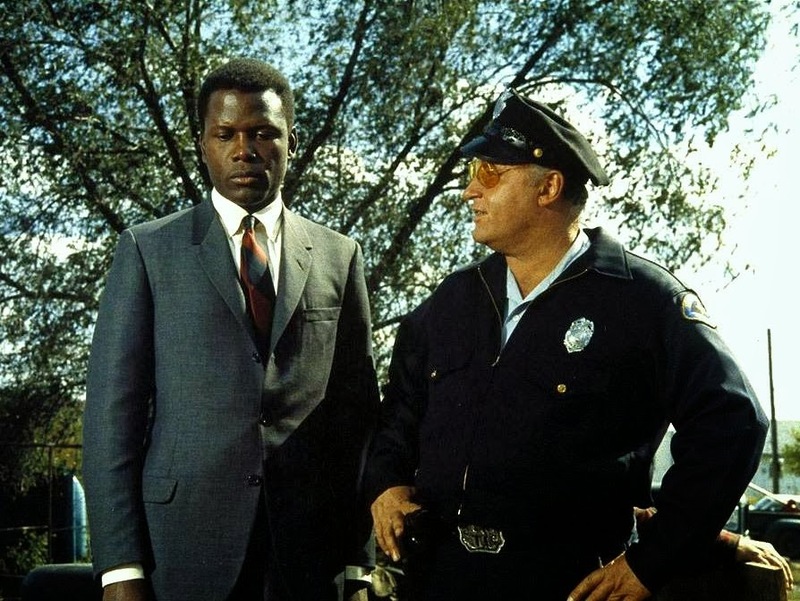 However, it's interesting to note that the Best Actor award went to Rod Steiger (who is admittedly fine) in a film that couldn't more clearly be a vehicle for Sidney Poitier. Any of the movie's residual impact lies in the fact that Hollywood and America could ever have thought this was a controversial movie when it barely scratches the surface of the climate in the Civil Rights-era South. Oliver! (1968), dir. Carol Reed - While 1968 certainly boasted worthier films than this Dickens-inspired show, by no means is it just another frothy musical. A ferocious Oliver Reed sets the tone as the frightening Bill Sikes in Reed's adaptation of the stage production. Dark and foreboding, it would usher in a series of grittier, more naturalistic takes on the traditional musical. Chariots of Fire (1981), dir. Hugh Hudson - The very definition of Oscar-bait, the movie underwhelms because it all but forgets the most essential quality of running... the exhilaration. As the Jewish Harold Abrahams, Ben Cross is the sole standout in the cast of young runners who otherwise seem to blend into a confusingly generic Aryan mass. If not for Vangelis' uplifting musical score, the film would feel completely weighted down by the mechanical implementation of the usual sports movie tropes. Among others: the girlfriend who doesn't understand; the training montage; the man trying to overcome society's prejudice on the sports field; and the athlete forced to choose between his sport and something loftier he's committed to. Gandhi (1952), dir. Richard Attenborough - I was very pleasantly surprised by Gandhi, a film I had actively avoided for years because it reeked of the kind of epic bloat I associate with the worst Oscar winners. But it's really a succinct, nuanced examination of the Mahatma, replete with as many depictions of the pitfalls he encountered because of his nonviolent activism as examples of his successes. A singular, Academy Award-winning lead performance by Ben Kingsley (in only his second film) is the main attraction. Terms of Endearment (1983), dir. James L. Brooks - The odd rhythms of former TV sitcom writer Brooks direction lend Terms a measure of the realistic unpredictability one finds in life. At the heart of this is Shirley MacLaine's admirably shrill turn as Dallas widow Aurora Greenway. By turns tender and brittle, MacLaine displays tremendous chemistry with Jack Nicholson of all people as a retired astronaut and the reportedly difficult Debra Winger who is equally wonderful as Aurora's level-headed daughter Emma. The mother of all tearjerkers. The Last Emperor (1987), dir. Cecil B. DeMille - This heavyweight would be a considerable achievement for any director. But for Bernardo Bertolucci it represents a sublime expression of his ability to compress the grand life of China's figurehead leader into a scale of intimacy that was once the director's hallmark with Last Tango in Paris and The Conformist. Appropriately, Vittorio Storaro's cinematography is at once bold and subtle. At times, he illustrates on the sprawling canvas with the sparest of brushstrokes. In other instances, his use of color to convey subtext is nearly overwhelming. But it all coheres to lend Bertolucci's drama a dynamism rarely seen in this kind of epic. Crash (2004), dir. Paul Haggis - Is this the corniest, most heavy-handed treatise on a social problem ever awarded an Oscar? Or is this dumbed-down exegesis on race in L.A. merely the most recent one? Whatever the case, Crash is the ultimate example of why Oscar should sometimes be ignored. I knew there was a reason I hadn't caught up with this one the first time around. I really like Mrs. Minniver, but the pacing at the start is very slow, and the rose thing can sort of sidetrack the story at times. There are several great scenes in the movie, can't ask for more than that. I also like the way he goes against expectations at a certain point (not saying any more in case someone hasn't seen it). You are correct on Crash, too heavy handed on the message. I still haven't seen Cavalcade or The Great Ziegfeld, although the latter is on my Netflix queue. As it was, with the four films I did see for my own catching up, they basically were reminders to trust my instincts. Due to the untimely death of my 60 inch Sony, I had to watch Around the World in 80 Days on a much smaller screen, but you'd think that by 1957, Michael Anderson wouldn't be afraid to bring the wide screen camera a little closer to his actors.